Lian Hearn returns to her best-selling faux-Japanese fantasy world in a new four book series being published in Australia in two volumes. Set three hundred years before her Tales of the Otori, The Tale of Shikanoko is pure sword and sorcery fantasy with a Japanese twist. As with her Otori series, the setting is not Japan, or even a Japanese version of ancient Japan, but it is a Japan-like world heavily based on the myths, legends and style of Japanese mythological tales. As the book opens, a young boy loses his father to forest goblins and then, before he can come of age, his uncle tries to kill him in order to inherit his lands. Saved by a forest sorcerer, Kazumaru is renamed Shikanoko (“the deer’s child”) and is given a stag’s mask of great power and a new destiny. At the same time, moves are afoot to unseat the emperor, kill his son and heir and put his brother on the throne of the eight islands. When Shikanoko emerges back into the world, he is thrown right into the middle of this conflict. Being a mythological tale there is little room for too much character development. Characters tend to be good or bad, or bad then good (when they see the light) or good then bad (often when under some sort of spell or magical control). Besides Shikanoko there is a range of good and evil sorcerers, a noble who has no problem shifting allegiances when it suits him, malicious and kindly spirits, virtuous maidens and almost sentient animals. As with much mythology, none of these characters, and particularly Shikanoko, feels quite in control of their actions, the whole being driven by a larger destiny. And the narrative itself, despite some bumps in the road, is clearly on the side of the boy emperor in hiding (even the weather is against the usurper). Lian Hearn’s world is an interesting creation. While the names and settings have a Japanese flavour, and Hearn clearly draws from Japansese mythology, the whole still feels like it comes from a Western perspective. 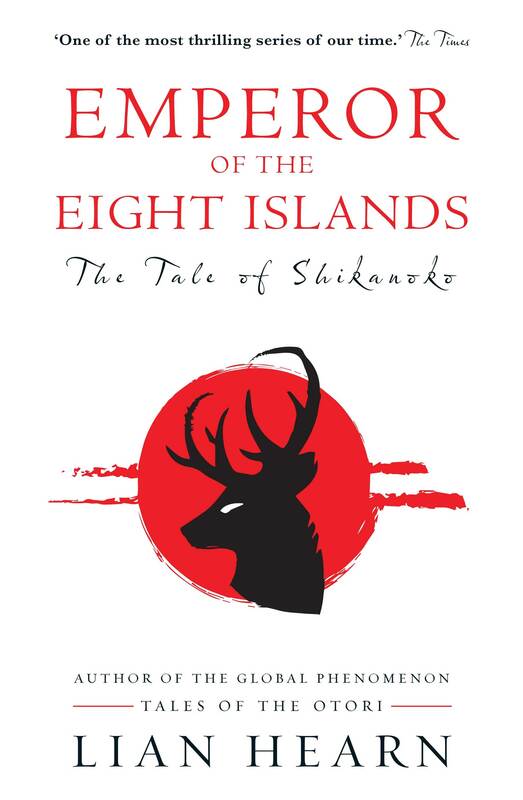 There is none of the cultural dissonance that readers might get from reading a Japanese interpretation of Japanese mythology and as a result the Tale of Shikanoko loses a little authenticity as a result. . Hearn uses a slightly formal style which suits this type of story and is, despite a large cast of characters, easy to slip into and follow. And the many fans of Hearn’s Tales of the Otori will just be happy to be back in her world. The decision to publish the two short first books in a single volume is a good one. There is a fair amount of set-up in the first half much of which pays off in the second. Being epic mythological fantasy, it is not hard to guess where the overarching narrative will go in the final two books (also to be published in one volume later in the year called Lord of the Darkwood) but given some of the surprises at the end of this volume it still promises to be an interesting journey.